Navutu Dreams has the distinction of being the only upscale ‘resort and wellness retreat’ in the historic town of Siem Reap. Ideally situated just a short drive away from UNESCO’s Angkor Wat and other top attractions in Siem Reap, you’ll find one of the town’s most beautiful and peaceful hideaways; Navutu Dreams, the brain-child of three Italians, whose previous hospitality success is the well-acclaimed Navutu Stars Resort in Yasawa, Fiji. 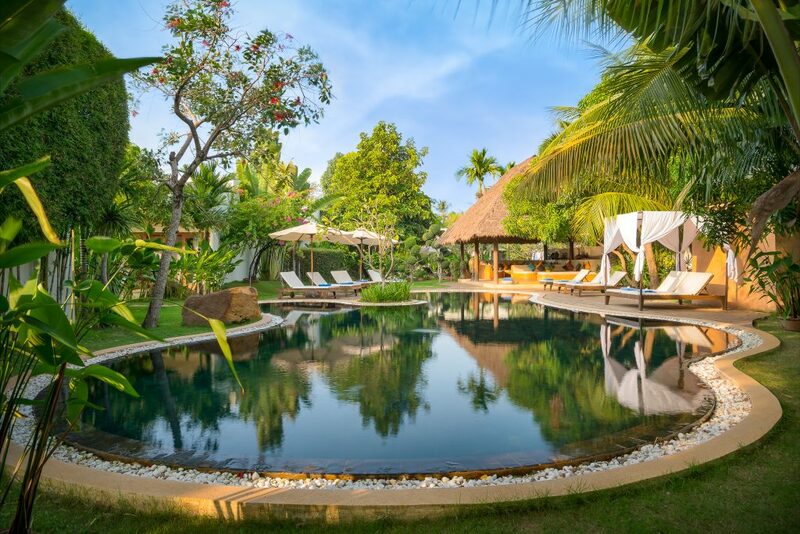 Navutu Dreams is the only upscale ‘resort and wellness retreat’ in Siem Reap. Navutu Dreams is the only upscale ‘resort and wellness retreat’ in Cambodia’s popular “Temple Town” – Siem Reap. Since it opened its doors in 2012, its focus has always been on providing relaxing holidays and renewing retreats. Being built on more than a hectare and a half of land, Navutu Dreams features lush, well-manicured gardens, 28 deluxe guest rooms and suites, 3 sparkling swimming pools, an open-walled restaurant, 2 fully equipped yoga studios and a spa & wellness center, it is a wellness sanctuary to relax, zen out and focus on yourself. Pool bliss at Navutu Dreams Siem Reap. Being the leading resort in ‘wellness travel’ in Cambodia, Navutu Dreams also has a destination spa called Honeycomb which highlights unique recipes for scrubs and facials as well as therapeutic massages inspired by its experience in the South Pacific. Honeycomb is more than just a spa, its a complete wellness center boasting a fitness suite, 2 yoga studios (one of the best you can find in Siem Reap) and a healing atelier for acupuncture, cupping and mind-body healing sessions. A professional team of wellness experts is at your service to handle different types of yoga classes and various inspiring and unique health programs: Detox for the Body, Detox for the Mind, Yoga Holiday Breaks, and Nature-based Fitness Retreats. 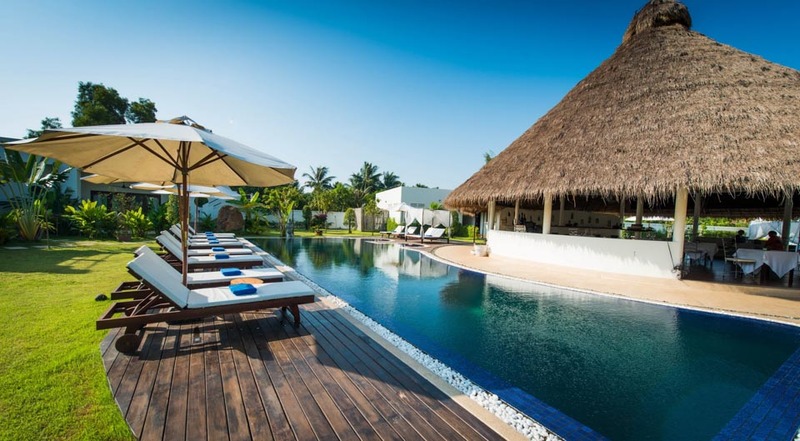 Navutu Dreams is heaven for Yoga fans. Stay at this Siem Reap resort and you’re guaranteed of authentic experiences, ranging from complimentary community tours that, for example, take you on a countryside tour in the hotel’s neighbourhood, for a better understanding of Siem Reap’s daily rural life, to unique destination-inspired wellness activities such as the Pranayama Meditation on sacred temple grounds and the practice of ‘Forest Bathing‘, a calming, guided walk on selected paths within the Archaeological Park of Angkor. Navutu Dreams’ open-air thatched roof restaurant & bar is situated in the center of the resort, surrounded by the serenity of the green gardens and pools. The restaurant’s menu consists of a wide variety of Khmer and Italian favorites as well as contemporary international dishes. Enjoy a truly relaxing ambiance and indulge in food experiences catering to all tastes, palates, and moods. Are you a vegan or vegetarian? 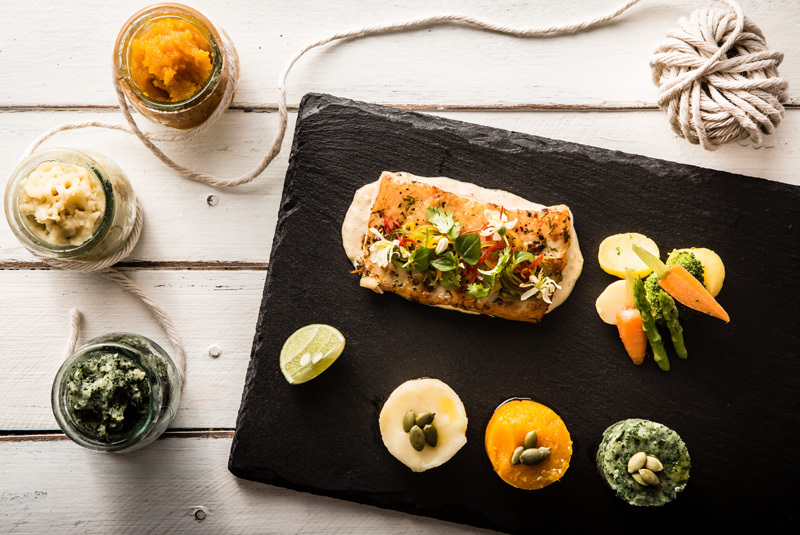 Then you’re at the right address, as the restaurant features a specially crafted wellness menu. We’re pretty sure the fresh-tasting salads, healthy soups, delectable vegetarian dishes and detox juices are among many carnivore’s favorites too. Experienced and novice cooks are also invited for an amazing culinary journey, all that is expected from you is to be passionate about food. Navutu Dreams’ Siem Reap culinary tours vary from a market visit to a visit to a local farm with lots of opportunities on picking herbs and spices, tasting, seasoning and mixing to understand the world of Khmer cuisine. Indulge in delicious Cambodian-Western-Wellness food at Navutu Dreams. Navutu Dreams Resort and Wellness Retreat’s unique dedication to providing the best retreats and wellness experiences has led to features and publication in magazines of the likes of Men’s Health and Vogue Magazine. The resort was also recently recognized by leading wellness authorities such as Conde Nast Johansens, Spafinder Wellness, the Leading Retreats of the World and the Luxury Spa & Wellness Collection by the National Geographic Traveller UK, making it Cambodia’s leading wellness retreat in an upscale, eco-luxe resort setting. Marlieke is a hospitality professional with a passion for digital marketing. After moving to Indonesia in 2011 she joined Starwood and filled e-commerce, digital marketing, and marketing communication positions in hotels in Jakarta and Bali. 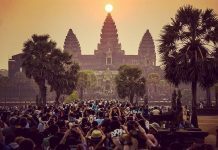 In 2017 she moved to Siem Reap and not long thereafter she turned her freelance consulting gigs into her own consulting company. When she is not traveling or running, she is now sharing her expertise with hotels and destination marketers in Indonesia and Cambodia.